Blackadder is a superb young bull and our most recent purchase to add power and muscle to the herdsire battery that we currently run at Borewell. Blackadder has tremendous width with an enviable muscle pattern and is as long as a train. His movement is fluid and correct and displays unparalleled balance. 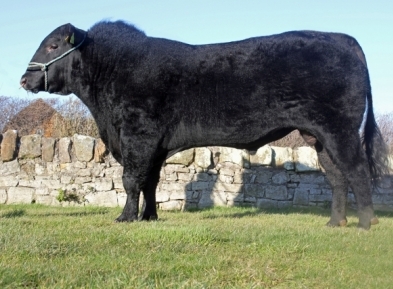 His sire "Principal" was purchased for a private 5 figure price from Hallington and has done very well up at Blelack. "Principals" grandsire Proud Jake already features in some of our pedigrees as a proven sire, topping at 16,000gns for Skaill Dido. 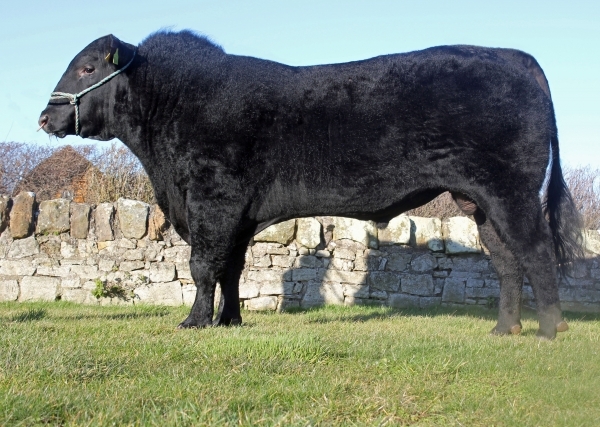 Blackadders dam is a powerful daughter of the RHS Champion Blelack Egotist who is a son of the former breed record cow 32,000gns Blelack Eyrie. We are confident of Blackadder's ability and he will compliment our current herdsires through the breeding of Peter Pershore and Proud Jake.